Stefano Rolando, born in Milan in 1948, has obtained his Bachelor Degree in Political Science at the University of Milan and his Master’s Degree at the School of Business Management at Bocconi University, and now is a professor of Theory and Techniques of Public Communication at the IULM University of Milan. For ten years, he was General Director and Head of the Department of Information at the Presidency of the Council of Ministers of the Italian Government. In 1986 he founded the Club of Venice – of which he is still President – which for over thirty years has been responsible for the coordination of the communication between its members’ governments and the institutions of the EU. He worked as a manager in major communication companies (Rai-Radiotelevisione Italiana and Olivetti) and was General Manager of the Italian public film production company (Istituto Luce). On the occasion of the Expo in Milan (2015), he chaired the Brand Milano Committee, which worked on the transformation of the city’s identity and narration. 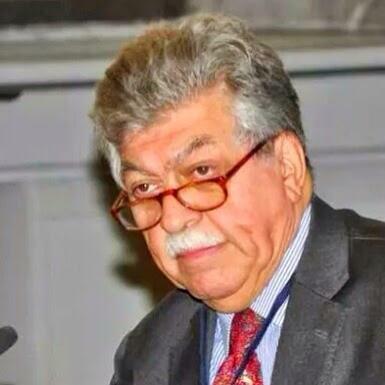 He has been a member of the UNESCO Scientific Council and has written over sixty books on the communications system and on the issue of national and territorial identities. He is a member of the scientific committee of the Association of Communicators of Brazil, is an honorary professor at the Moron University of Buenos Aires and has received honours from France and Romania, as well as the ‘Knight Grand Cross with Collar’, the highest grade of the Order of Merit of the Italian Republic.